Water Fitness Lesson Plans and Choreography helps new instructors learn the basics of class organization and keeps veteran instructors out of the proverbial teaching rut. 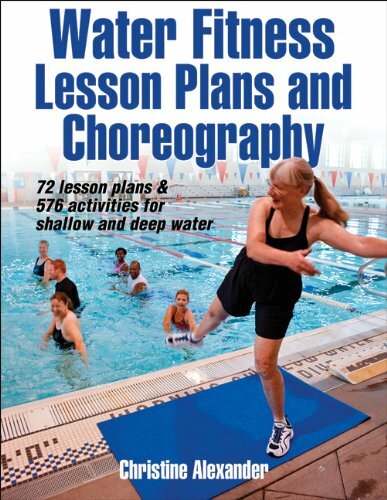 This reference contains 72 lesson plans for shallow and deep water—each including a warm-up and cool-down, variations, choreography, and modifications. A total of 576 exercises are described and accompanied by 253 photos that depict the key features and the corresponding choreography. The lesson plans are organized into two sections: shallow and deep water. Each lesson plan for shallow water has a corresponding lesson plan for deep water. All that instructors have to remember are the specific exercise modifications to take the routine from one end of the pool to the other. This allows instructors to learn, remember, and feel comfortable offering a variety of class formats. Over two million people participate in water fitness, so good water fitness instructors are in high demand. Water Fitness Lesson Plans and Choreography will help new and veteran instructors create well-organized classes so that participants meet their objectives, come back for more, and have fun! 2. 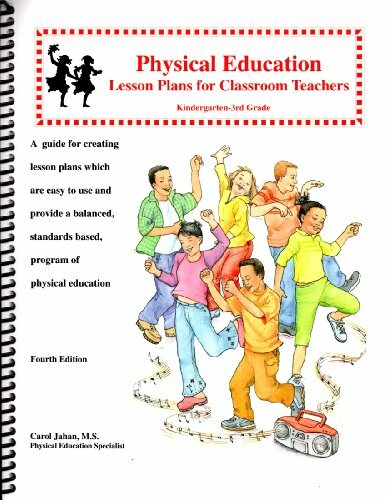 FOUNDATIONS OF PERSONAL FITNESS: Reproducible Lesson Plans......(Includes 9 and 18 week lesson plans). Available to all adopters on CD-ROM (a print version is available on request), this resource provides a lesson plan for every day of the course, whether it is taught as a semester course or a yearlong course. 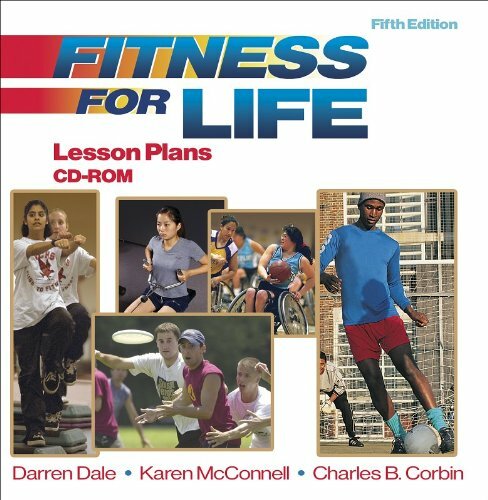 These lesson plans make organizing a Fitness for Life course a breeze and are much more practical than a teacher's edition that merely offers suggestions for developing plans. And because the lesson plans are kept on a CD-ROM, teachers won't have to worry about pages tearing out of a notebook or getting worn out. They can simply print out what they need and have the comfort of knowing that their plans are permanently stored on the CD. 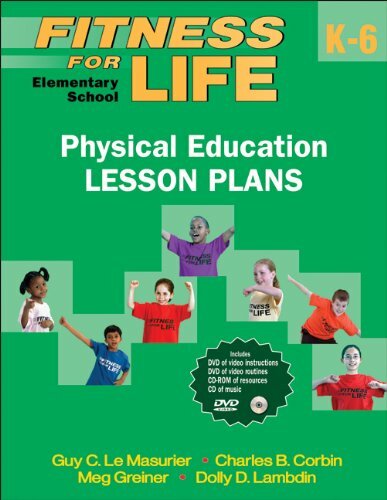 This item is one of many supplemental teaching materials available for use with the Fitness for Life program. Contact your K-12 sales representative for more information and regarding bulk purchases. 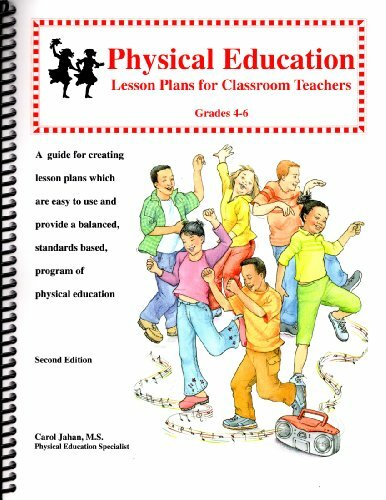 This digital document is an article from JOPERD--The Journal of Physical Education, Recreation & Dance, published by American Alliance for Health, Physical Education, Recreation and Dance (AAHPERD) on November 1, 2008. The length of the article is 3854 words. The page length shown above is based on a typical 300-word page. The article is delivered in HTML format and is available immediately after purchase. You can view it with any web browser. Many people suffer mental distress because of real or imagined defects in how they look. Self-esteem is often linked to personal appearance.The authors of this book think that is not a bad thing. They deliberately emphasize the link between looking "good" and feeling good. They target a very vulnerable group. Adolescents are especially likely to be worried about how they look. The illustrations are likely to upset any victim of obesity.All the photographs of young people exercising show them of ideal body weight, without facial blemishes, and, when in groups, with the males taller than the females.No obesity victims are shown exercising. The drawings are egregiously offensive.In one, a victim of severe obesity is shown sitting and crudely mocking a baseball player. In others the overweight are shown with midriffs bulging out of ill-fitting clothes. Anyone reading this book (and maybe the authors themselves) should be given the opportunity to read Lucy Grealy's "Autobiography of a Face" and "Weight Bias" edited by Kelly D. Brownell. 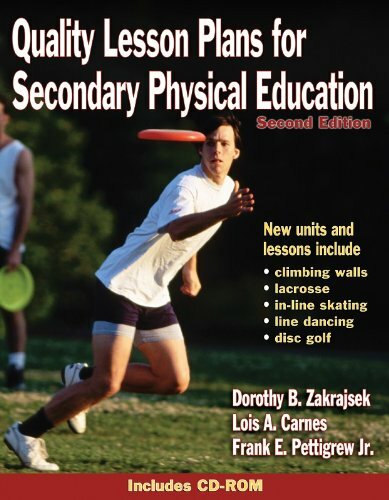 This book has been a big hit with physical educators since it came out in 1989. Now it's available in a new edition that keeps all the best features of the original, adds new material, and improves the presentation, all while making the information more affordable! The new edition is split into two books--one for the elementary level and another for middle school--so you pay only for the lesson plans you need. Each book still provides developmentally appropriate lesson plans for every day of the school year plus information on how to organize classes to best implement the lessons. You can use the time you save on developing and organizing content to focus on providing quality teacher-learner interaction. The units on organization include both general concepts and sample lesson plans that demonstrate how to conduct classes that maximize students' opportunities to learn. The classroom activities are perfect to use on rainy days or as a teaching tool in a standard classroom curriculum. You'll also find an appendix at the back of the book that provides rating scales and evaluation forms to help you conduct assessments. 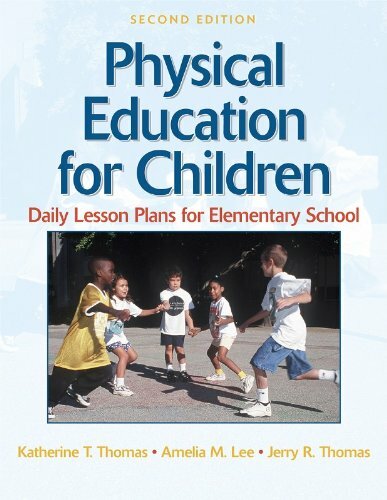 The Physical Education for Children books make it easy for teachers to combine program planning, lesson plan development, and effective teaching practices to provide a quality physical education program. No elementary or middle school physical education teachers, especially new teachers, should be without them. 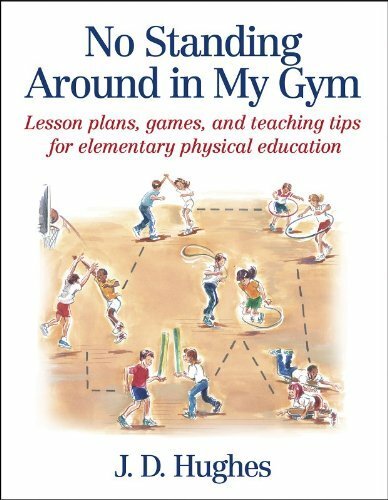 This a great resource for PE teachers.I teack K-6 and have used many of these games!!! 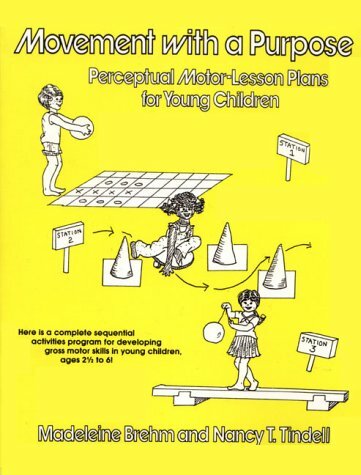 This book gives great games for use both in and out of the gym.Student waiting is kept at a minimum with the ideas in this book.The book is laid out very logically and diagrams are VERY clear.Many of the games are great as lead up activities for team sports.Great for upper elementary (grades 3-6). Great book for teachers and coaches!!!! This is a great book for teachers starting off or looking for new ideas. It provides good written examples and pictures, along with providing guidance and student goals as well. 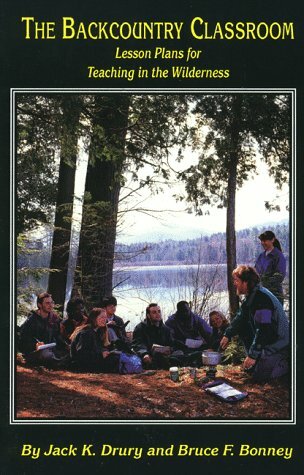 In 1992 the first edition of The Backcountry Classroom leapt into Wilderness Educators backpacks and was welcomed with open arms and praise. Paul Petzoldt commented that the book was "invaluable for confirming one's own expertise as well as discovering voids." The second edition of the same work is no exception. This new edition of the The Backcountry Classroom has more than doubled in size and is packed with wisdom from Jack Drury, Bruce Bonney, Dene Berman, and Mark Wagstaff: four of the leading Educators in this field. During their tenure, each has developed a system of teaching, as well as knowledge and skill sets that they passed on to the rest of the growing field. The Backcountry Classroom serves as a resource guide for all who want to live well in the backcountry. Its layout makes it easy to navigate with its outline layout. Its outlines make it easy to navigate and each knowledge set is accompanied by teaching strategies. Quickly any student or teacher can access the information that is needed to teach a lesson on a specific skill, approach a problem or simply double check that all the pieces of a lesson are covered. As a recent graduate from an Outdoor Education program, I have found that most of the books that we used in our classroom were heavily based in theory, history, and the more philosophical aspects of outdoor programming. What made the The Backcountry Classroom unique to our library is that the book also has some very practical concepts for students. Those new to the program and others that have been in the outdoors for years can come together under a common language and have a reference for all of the elements that make up an outdoor trip. In talking with other students in my program, they agreed. Pedro Mauras, a junior at Gordon College in Wenham, MA said, "I love and still use it practically in everyday circumstances." One of the great advantages of putting things like "Backpack Packing" and "Trip Planning" and "Weather" down into words and outlines is that across the many programs that we work with in this expanding field there is a common language that we can all use. As people move from program to program, and come from different instruction backgrounds, we find in this and other texts the beginnings of a consistent terminology. The Backcountry Classroom not only covers technical skills, but also it gives outlines and models for teaching and facilitation. No matter how great the information, educators that cannot convey that information to their students in an effective manner will not succeed in growing their students. One of the big additions to the second edition is the chapter on SPEC learning and teaching. This Student Centered, Problem-based, Experiential and Collaborative method gives us a model by which to truly meet the needs of the students we work with from a holistic vantage point. As educators in the backcountry we find ourselves in the unique position of living with our students, for a few days, weeks, or months. We are a part of their lives, and take the time to know what their needs really are. This means that understanding a student-centered model of teaching is critical to what we do in the backcountry. Also, by using a problem-based approach, we give students the judgment skills and reasoning capabilities to drive their own learning when the course is over and they are out in the field, on their own, or with their own students somewhere down the line. The The Backcountry Classroom introduces teaching methods and basics in wilderness travel skills, ethics, and methodologies through this SPEC lens. Now that I am teaching in the outdoor field I am coming to my classes with fresh eyes, but with little concept of what works well and what doesn't. Having the The Backcountry Classroom on my bookshelf means that no matter what topic I am teaching on in the curriculum, I have a resource to direct my teaching through the Instructional Strategies and the Outcomes that I encourage my students to set for themselves. After attending the National Conference in February and talking with others about the book it seems somehow inadequate of me not to mention the one comment that I heard over and over about the book: "It's great, but it's huge!" The new Backcountry Classroom does require a bit more creativity in figuring out how to get it into the backcountry. Some suggestions to date: copy the chapters that you know you'll end up using often in the field and just take those, or take it to a printer and have them take the margins off for you and put it in a binder (or just think about how much stronger you're going to be after having it in your pack for a few weeks!) If you haven't already acquired a copy of this resource for your own collection, it comes highly recommended for students and instructors alike as a tool for whatever classroom you find yourself in. The second edition of The Backcountry Classroom was a tremendous undertaking and we think you will like the results. There are eight additional chapters; Collaboration, Crisis Management, Groups: Orienting and Monitoring, Interpretation of the Natural and Cultural Environments, Knots, GPS, Rock Climbing: Leadership considerations for Top Roping, and Travel Technique: Canoeing and Sea Kayaking. There are also over 75 new tables and illustrations. We have been conducting workshops focusing on the 2nd edition of the book throughout the country and the feedback has been overwhelmingly positive. The chapter that has generated the most excitement is the Teaching and Learning chapter. Here, we engage in an extended discussion of our current thinking about the characteristics of high quality teaching and the role that teachers play as architects of high powered learning experiences - both in and out of doors. In this chapter we also introduce you to S.P.E.C. (Student-Centered, Problem-based, Experiential, and Collaborative) the short-hand acronym we use to remind us of the fundamental attributes of our approach. Throughout this book, you'll see that we've appended "challenges" to various lessons that we hope will serve as useful models to those who want to try out some aspect of our SPEC methodology. The only negative feedback we have received is that the book is too damn big! We accept responsibility for that and actually have a few suggestions if you want to take the book into the field. I have taken a copy to my local printer and had him trim the binding off and trim the sides making sure that he didn't trim the page numbers or graphics. It did two things. It has made the entire book lighter and smaller but more importantly in my mind it allows me to take just the chapters I want out into the field. This allows me to lighten my pack even more. He also put holes in the book so I can put it in a binder if I want or use loose-rings to hold the book/chapters together. I'm sure you can do the same thing at little or no cost if you plan on taking the book into the field. If you do take the book in the field please share what creative steps you take to make it lighter. If you purchase a copy please feel to contact me and let me know what you like and don't like about the book. 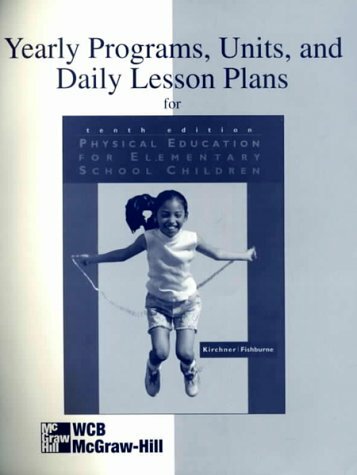 This digital document is an article from JOPERD--The Journal of Physical Education, Recreation & Dance, published by American Alliance for Health, Physical Education, Recreation and Dance (AAHPERD) on March 1, 2002. The length of the article is 1933 words. The page length shown above is based on a typical 300-word page. The article is delivered in HTML format and is available in your Amazon.com Digital Locker immediately after purchase. You can view it with any web browser. Title: Using your personal digital assistant to store lesson plans. (Technology Tips).